Originally designed by N.G. Herreshoff for the Seawanhaka Corinthian Yacht Club as Seawanhaka 16s, each boat was named after a species of fish, and later became known as the Fish Class. 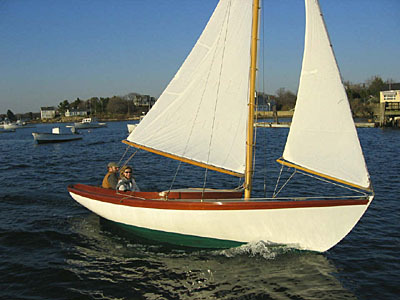 These lovely sloops are wonderful family daysailers, and can be outfitted for coastal harbor hopping. Length over all: approx. 20'9"